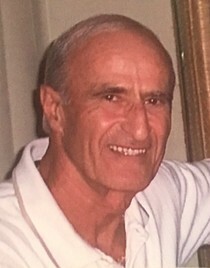 George H. Boodaghian passed away peacefully after a lengthy illness on April 18, 2018. He was 85 years old. He leaves behind Rhonda (Ronni) his loving wife and partner of 25 years, his son Nishan Boodaghian, stepson David Lentz (Millie), stepdaughter Nichole Spalluto (Doug) and six grandchildren. Also siblings: brother Joseph, sister Mary (Lily) , brother Varouge and many extended family members. George will be laid to rest next to his parents in George Washington Memorial Cemetery, Paramus, New Jersey. George lived life to the fullest. Some of his favorite activities included his daily early morning walks along Fort Lauderdale Beach, working out at his favorite gym, and the adventures of world travel he shared with his wife. In lieu of flowers, donations may be made to the Alzheimer's Associatioin.